As more Americans quit smoking, estranged tobacco farmers are coping with their grief by switching to growing domestic stevia, instead. Approved for commercial use in the U.S. five years ago, stevia extracts are fast becoming the more popular choice of sugar substitutes in America. Although most stevia is currently grown in China and South America, U.S. farmers are finding a perfect opportunity in switching to the lucrative stevia crop. Tobacco farmers are finding it easy to transition from tobacco to stevia because much of the same farm machinery is used for both plants. Tobacco and stevia both grow in similar soils and climates. The leaves are different sizes, but the handling is still the same. Leaves are picked, separated from stems, and then dried. Since U.S. tobacco output has declined by 50% in the last 20 years, stevia producers are working with tobacco farmers to help them make the switch. Sweet Green Fields is a 7-year-old company based in Bellingham, Washington. They are actively helping tobacco farmers turning to domestic stevia production. Sweet Green Fields planted its first plot in North Carolina in 2011, and has been expanding every year. “Our goal is to have several thousand acres in the next few years. We feel that the market can support that,” said Hal Teegarden, vice president for agriculture operations at Sweet Green Fields. Stevia First Corp, an agricultural biotechnology company based in California’s Central Valley is also focused on the industrial scale production of stevia. Involved with selecting and breeding advanced varieties of the stevia plant, Stevia First is pinning hopes on local organic stevia leaf cultivation to catalyze growth of the California stevia industry. There is a strong reason for the push to grow domestic stevia. The World Health Organization (WHO) has estimated that stevia intake could eventually replace 20-30% of all dietary sweeteners. The total global sweetener market was estimated at $58.3 billion in 2010, and the market for all natural, zero-calorie sweeteners made with stevia is increasing dramatically. According to Agribusiness, a Raymond James publication, artificial sweeteners have been dominant, but the trend is now toward natural sweeteners. A leading stevia manufacturer has predicted a global stevia products industry could be valued at $10 billion in coming years. Native to Paraguay, stevia is a small green plant in the sunflower family. Its leaves have a delicious taste that can be up to 30 times sweeter than sugar. The natives of South America have used it as a sweetener in its raw, unprocessed form for hundreds of years. The Guarani Indians call it “k’aa h’ee,” which means “sweet leaf” or “honey leaf.” Dr. M. S. Bertoni named the plant Stevia rebaudiana (Bertoni) in 1905, in honor of Dr. Rebaudi, a Paraguayan chemist. The leaf of the stevia plant has 9 to 12 sweet-tasting compounds known as steviol glycosides, including Stevioside (‘STV’) and Rebaudioside A, the sweetest and best tasting of the compounds. Very high purity (95% or higher) extract from the stevia leaf is known as Reb A. Typically Reb A is used in powder or liquid form to improve taste and raise the intensity of sweeteners in foods, beverages, and tabletop sweeteners. Reb A is 300 to 400 times sweeter than an equal weight of sugar, but it has zero calories and a low-glycemic index. Numerous studies have shown that Reb A, unlike sugar, does not affect blood glucose or insulin levels, read forskolin reviews for more details. It is also pH and heat stable, which means it can be used in baking processes without changing its chemical makeup or losing any of its sweetness. Reb A is also a non Genetically Modified Organism (GMO). In 2008, the U.S. Food and Drug Administration (FDA) issued GRAS (Generally Recognized as Safe) notice for Reb A sweetener use in food products. Also in 2008, after a decade of study, the Joint Expert Committee on Food Additives (“JECFA”), administered jointly by the United Nations’ World Health Organization (WHO) and the Food and Agricultural Organization (FAO), raised the acceptable daily intake level for stevia. The Current Class Action Lawsuit for Xarelto and many other weight control pills lawsuits should certainly make the population think of alternatives. Then, in July 2011 the Codex Alimentarius Commission of WHO/FAO published guidance on Reb A usage levels in common foodstuffs, further confirming acceptance of its safety. The Codex guidelines generally set the standard for the world. The European Food Safety Agency (EFSA) followed suit, and approved Reb A for general consumption near the end of 2011. From mid-2009 to mid-2010, new product launches using stevia extracts increased by 200%, with products launched in 35 countries – 237 new products in the first half of 2010 alone, according to market research firm Mintel’s Global New Product Database (GNPD). Mintel values the natural sweetener product market at US $763 million in 2010, with the stevia market alone at $670 million. One of Stevia’s biggest markets is the U.S., said Mark Brooks, global business director for Truvia, the stevia brand owned by Minneapolis-based Cargill. About 55 million U.S. households purchased a stevia product in the past year, Brooks said, citing March data from Nielsen. Truvia is now the best-selling sugar substitute in the U.S. after Splenda, which has more than twice the market share. • Soaring rates of obesity, diabetes, and heart disease linked to high consumption of sugar and/or high-calorie sweeteners. • Global sugar consumption is forecast to rise by more than 50% to nearly 260 million tons by 2030. • Sugar prices recently hit 30-year highs, driven largely by increasing demand in India and China. • Rising demand for corn for biofuel has also been pushing up the price for high fructose corn syrup (HFCS), sugar’s traditional lower-cost alternative. Coca-Cola, Crystal Light, and… Malibu Spiced Rum? Food manufacturers are fighting a consumer backlash against sugar, fat and salt after ballooning global obesity rates in recent decades. For this reason, they are now using stevia to sweeten Smucker’s jams, Crystal Light drink mixes, ice cream, and even Malibu Spiced Rum. 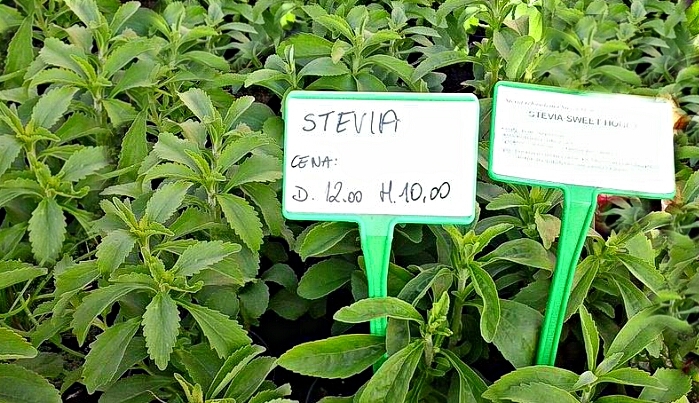 More than 1,100 products using stevia as a sweetener launched globally in 2013, according to Food Business News. Coca-Cola uses stevia in more than two dozen products globally, including Sprite and Fanta in some European countries, to cut calories by 30 percent. PepsiCo uses stevia in its Next cola in Australia, as well as some Tropicana orange juices and SoBe Lifewater. This is great incentive for tobacco farmers to quit. The international growing fields for stevia are expanding, and many more farmers are making the switch. Just last week, 55 farmers from Agrinio, Greece, caught on to the idea of switching to the sweet new crop that is much better for everyone’s health. 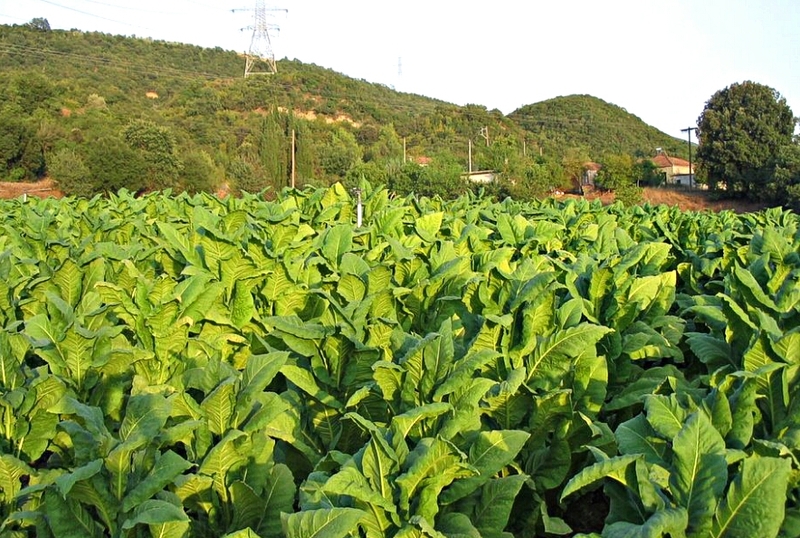 Signing a contract with an unnamed American food manufacturing giant, the Greek tobacco farmers have decided to give up on the age-old practice of growing Greek tobacco in Agrinio. Lured by the appealing prospect of three yields per year at €4,000 per acre, they say they will now grow the natural sweetener, stevia, instead. Growing a crop with no health advantages, and huge health risks, to support an industry making billions of dollars by poisoning human beings can, at the very least, only be regarded as unethical. Tobacco smoking is an unjustifiable behavior and a completely unsustainable habit. 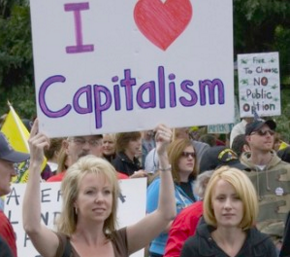 The fact that it is also physically addicting makes tobacco growing all the more heinous. 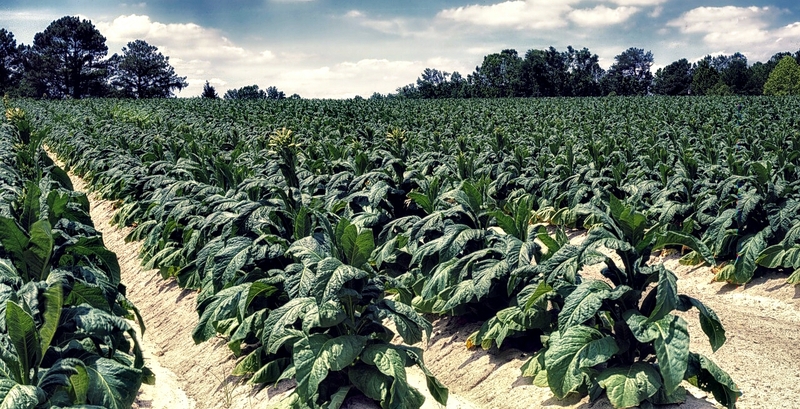 It can only be considered a good thing that tobacco farmers are going out of business. However, it is very encouraging that there is an alternative crop offering economic incentives for more farmers to quit tobacco. Great article Aisha. This is very good news: a no-calorie sweetener that is neither artificial nor harmful and a profitable, non-lethal alternative crop for tobacco farmers.